Go-Kart for rich kids, yep, this Go-Kart Porsche Pedal Car is available for $900 exclusively at authorized Porsche Center. 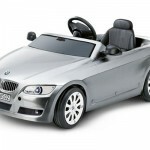 Porsche usually targets young professional males but this time, the company targets children between the ages of 5 to 8 and of course with rich parents. 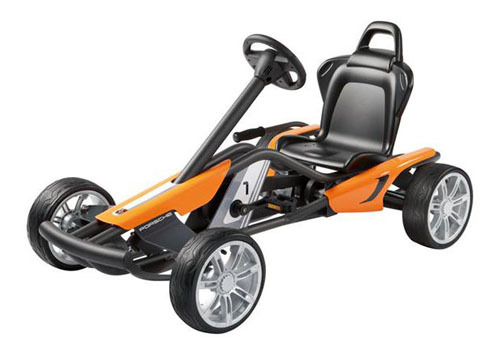 Designed by Porsche Design Studio, this go-kart features adjustable seat to suit your children’s height and it can support up to 100lbs driver. 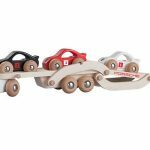 If you love Porsche, you can introduce Porsche lifestyle to your kids now, this toy uses real elements of cars such as sturdy metal frame, pneumatic air filled tires, ability to pedal both forward and backward, coaster braking system. 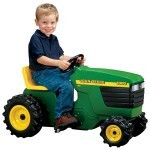 Is your kid the future Schumacher?